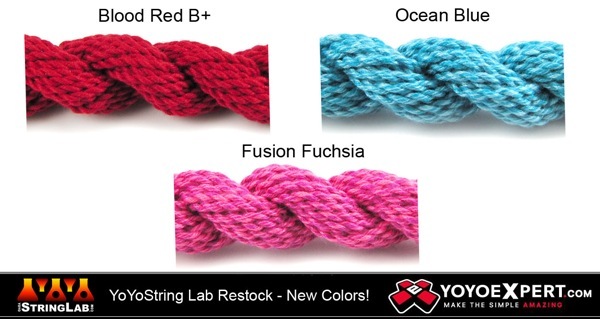 Blood Red B+, Ocean Blue, and Fusion Fuchsia! TYPE X YoYoStringLab AVAILABLE HERE! YoYo String Lab Sampler Pack & Ann Connolly Plutonium! Huge YoYoStringLab AMMO Restock! All Colors! New Evan Nagao Signature string – Yoyostringlab Plutonium! YoYoStringLab Type X Restock! All colors!